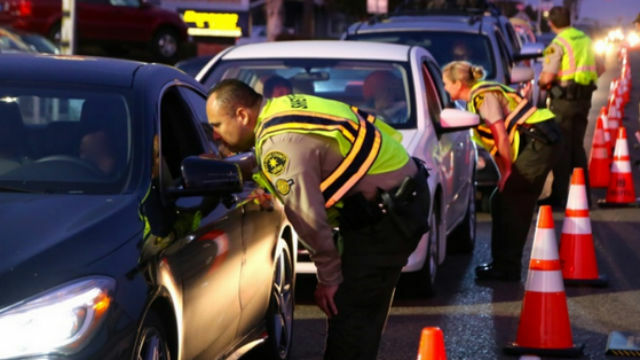 San Diego Sheriff‘s deputies arrested four drivers and impounded 17 vehicles at an overnight DUI and license checkpoint in Santee. The department reported Sunday that 985 drivers were stopped between 8:30 p.m. Saturday and 2 a.m. Sunday at the checkpoint on North Magnolia Avenue. The arrests included three for suspected DUI and one for a misdemeanor warrant. Deputies administered 10 sobriety tests. Eighteen citations were issued for drivers license infractions. Funding for the operation was provided by a grant from the California Office of Traffic Safety, through the National Highway Traffic Safety Administration.